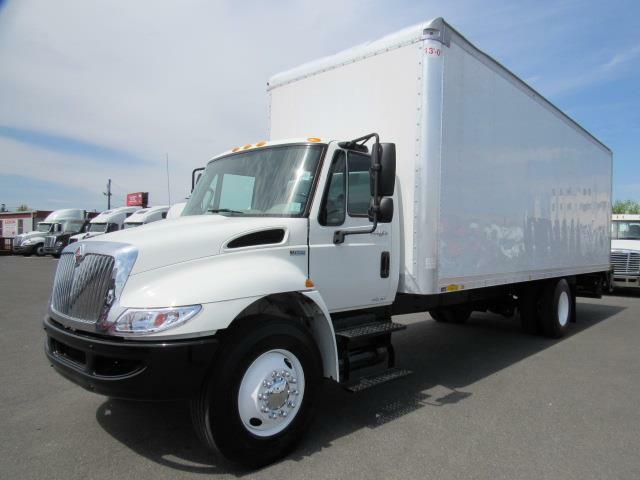 26ftX102"/NON CDL/AUTO/LIFTGATE/ETRACS! 26ft X 102" X 102" alum box with Maxon 2,500Lbs. tuckaway liftgate, two rows of E-Tracks and roll-up rear door. NON CDL, meaning someone with a car driving license (D license) could drive this truck. 215HP MFDT Diesel engine, Allison heavy duty automatic transmission known for its reliability and smooth operation under heavy loads, reconditioned with fresh PM service and Federal DOT inspection, backed by the FREE ARROW LIMITED POWERTRAIN WARRANTY GOOD AT ANY SHOP OF YOUR CHOICE FOR COVERED REPAIRS.